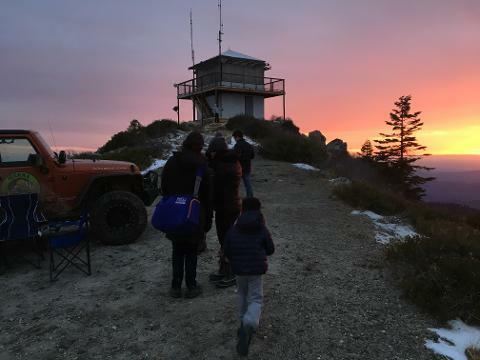 Head out to Devils Peak on this amazing 3.5 hour 4x4 Jeep tour and watch the sunset over Yosemite Mountain Ranges. Arrive at Devils Peak as the sun begins to set and take some awesome photos. What is Devils Peak? Devils Peak is a lookout tower at 7,000 ft elevation where a forest ranger lives summer long to watch for fires. Meet Buddy - the ranger and his companion (dog) big boy! 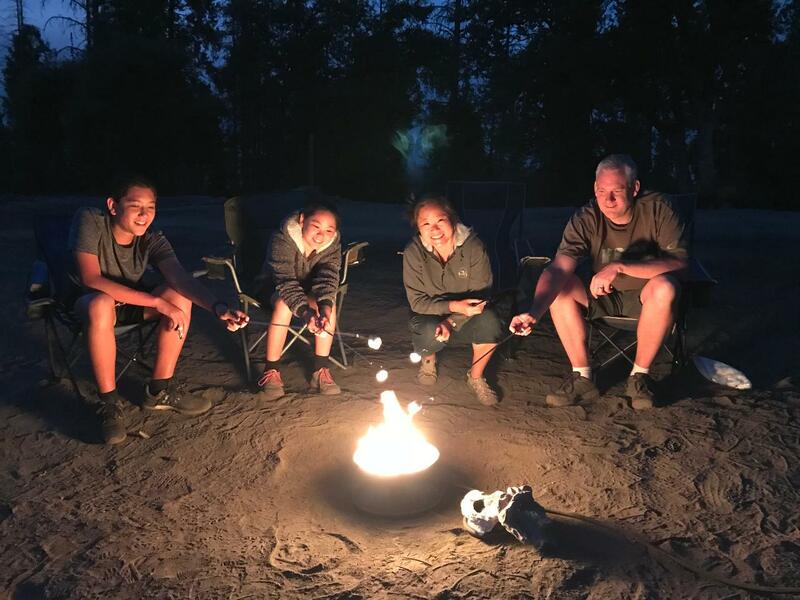 Hang out around the fire and roast marshmallows provided by your guide! Add on a hot dog package for an additional to roast dinner by the fire.